Businesses outside Flagstaff are raising their starting pays to match the city's higher minimum wage. 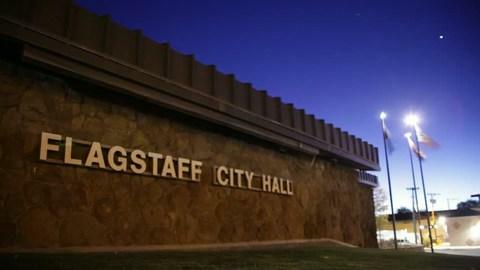 Flagstaff law requires businesses only within city limits to pay a minimum wage of $12 per hour this year, a dollar higher than the state's minimum wage, the Arizona Daily Sun reported last week. The Forest Highlands Golf Club, south of the city, has matched the city's minimum, and so has the Silver Saddle Center — the gas station and general store north of town. The Snowbowl ski resort started paying $12 an hour two months before the law mandated it. The leadership team and board of the golf club had decided to match the city's minimum during budget discussions, said Patricia Ashbrook, the club's interim general manager. Officials were concerned that it could be difficult to attract and retain seasonal employees because they might want to pursue higher paying jobs in the city, she said. "It made good business sense for the club and was a positive move for our employees," Ashbrook said. Employees at Silver Saddle have always been paid more than minimum wage, so the managers and owner decided to adopt Flagstaff's wage model, manager Vanessa Montez said. The business has raised prices, but its prices tend to fluctuate based on vendor costs, Montez said. The city's minimum wage is set to increase incrementally each year to reach $15 per hour in 2021. "We are trying to keep skiing affordable and labor is our single largest expense," Linde said. "Balancing labor costs and remaining competitive is important for us as an employer and a recreation venue for Flagstaff and northern Arizona." A report from a nonprofit institute says forest restoration initiatives generated $150 million dollars for northern Arizona’s economy in 2017. The study was conducted to meet a Congressional requirement for monitoring the results of large-scale restoration projects. KNAU’s Melissa Sevigny reports. Visitors at national parks across the country have faced a lack of many basic services during the partial government shutdown. Member station KNAU’s Ryan Heinsius reports, an executive order by Arizona’s governor has prevented some of those issues at Grand Canyon National Park.